I knew it! Down with spiders! I knew it – ever since I saw that arachnophobia film some years ago – with one of those lost souls all wrapped up for delivery. Why just yesterday I squished one of them – it was `aplotting as near as I could figure out, to go forth and reproduce in preparation for the big uprising. Not a vegetarian in the whole group. Spiders "will" eat us all. Meh, I'll just get the guys who mow all the lawns on "The Walking Dead". I like spiders and have kept tarantulas as pets. One point I'd like to make: If there is an endangered animal (like the Hawa'iian monk seal) that is cute, money will roll in from donors who want to see it protected. If the animal in question is and endangered spider or snake...you would be lucky to see a dime...yet snake and spider venoms have been yielding valuable medicines to treat cancer, diabetes, and heart disease. They are just as deserving of protection as a beautiful bird or cute seal. I think the Brits would agree that a beautiful bird is a lovely thing. And I know a few guys who think SEALs are very cute. I also think that drinking this early in the day makes the Internet less boring. Each year, a spider eats eight humans in its sleep. Well! We have to find that spider and stop it! Or give it a dime. ...I'm...I'm not sure I really got the gist of KevinLevites' post. Remember that "If frogs go extinct, you'll notice" ad? 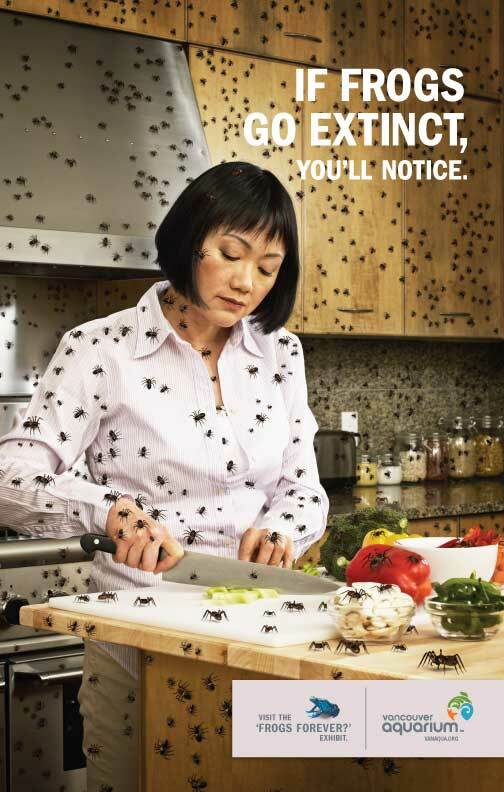 karen_bubblegum wrote: Remember that "If frogs go extinct, you'll notice" ad? I'd just shake my lizard at them. Work your Frogs on them!